Humble Football Advertisement with Kern Tips as the announcer. Image available on the Internet and included in accordance with Title 17 U.S.C. Section 107. 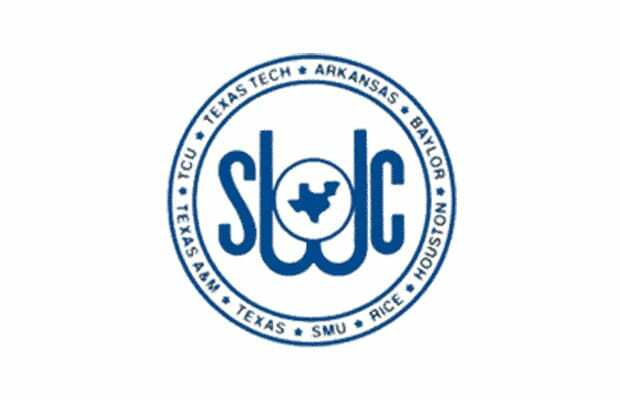 Southwest Conference Logo. Image available on the Internet and included in accordance with Title 17 U.S.C. Section 107. Football—Texas Style by Kern Tips, 1964. Image available on the Internet and included in accordance with Title 17 U.S.C. Section 107. Kern Tips's Grave. Image available on the Internet and included in accordance with Title 17 U.S.C. Section 107. TIPS, KERN (1904–1967). Kern Tips, sportscaster, son of Robert and Mary (Kern) Tips, was born on August 23, 1904, in Houston. He was married to Nancy Tucker, and they had two children. Tips received his college education at Texas A&M and at Rice Institute. While studying at Rice he was a sports reporter for the Houston Chronicle from 1924 through 1926, when he became sports editor of that newspaper, and he served in that capacity through 1934. His association with radio began as a sportscaster in 1926 and later as a newscaster in 1930. He served as general manager of Houston radio station KPRC from 1935 through 1946. On January 1, 1947, Tips joined the advertising agency of Wilkinson-Schiwetz and Tips. In September 1954, when the firm merged with McCann-Erickson, one of the world's largest advertising agencies, Tips became a vice president of that firm. In September 1966 he retired from service with McCann-Erickson and embarked on a "fourth career" as producer and narrator of a syndicated series of five-minute sports radio shows broadcast throughout the Southwest. He continued in the activity through June 1967, a short time before his death. Tips was perhaps best known as the "Voice of the Southwest Conference," having spent thirty-two years broadcasting Southwest Conference football games. During that period he was associate producer and narrator of Humble Oil and Refining Company's "Southwest Conference Highlights." His voice was beamed around the world through the facilities of the Armed Forces Radio Service network. Tips served as a member of the board of directors of the National Association of Broadcasters from 1939 to 1940, as a member of the NBC Affiliates Council in 1941, as an advisor to the Office of War Information during World War II, and as director of Civilian Defense of Houston and Harris County, 1943–45. In 1959 he was selected as the man who had contributed most to radio and television in Texas in the first annual award of the Association of Broadcasting Executives in Texas. He was recipient of the only award ever made by the Southwest Football Officials Association for distinguished service to the sport. He was voted Texas Sportscaster of the Year in a national poll, an honor he was accorded five consecutive years, and he received many other testimonials and awards from clubs, associations, and educational institutions. 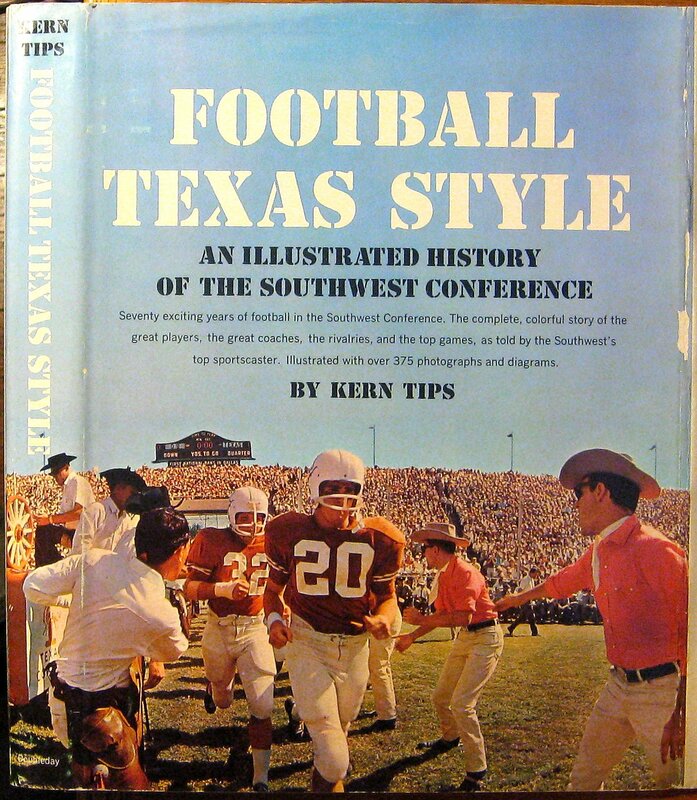 Tips was the author of Football—Texas Style (1964). On August 3, 1967, Kern Tips died in Houston. Austin American-Statesman, August 4, 1967. Vertical Files, Dolph Briscoe Center for American History, University of Texas at Austin. Handbook of Texas Online, Sylvia Gunn, "TIPS, KERN," accessed April 24, 2019, http://www.tshaonline.org/handbook/online/articles/fti05.